How does the war on drugs and bail bonds affect the United State of America’s jails? Over the years, our government has taught us to ostracize addicts and dealers. 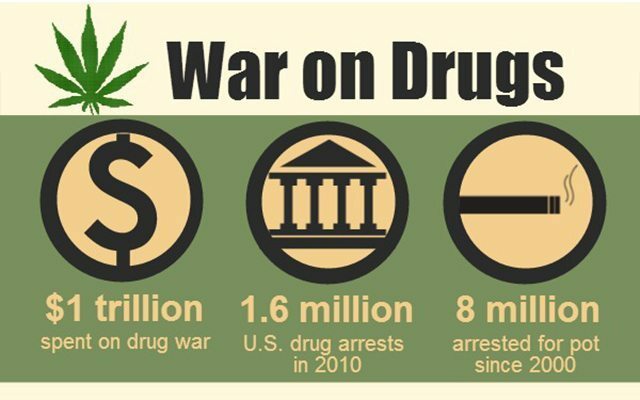 However; if you look at the war on drugs from the early 80’s till now: demand has more than tripled. Although the drug trade has grown rapidly out of control over the last 60 years. Our; government’s position on these crimes, has made very little head way to stop it. Massey’s Bail Bonds does not believe in excessive judicial power for drug convictions. Our values are strong as we stand behind providing the accused an adequate defense. Therefore; as the owner of Utah Bail Bond Company; & a Bondsman who has been in the business for over a ten years. I can’t tell you how many times a week I receive calls from people trafficking illegal narcotics from California headed east. Its always the same story; They get pulled over due to having out of state plates and need Bail. Once detained, their drugs are then confiscated and they are then booked into the local county jail. Unfortunately; being that the people incarcerated are generally out of state residents and being held in the very rural counties in Utah. The state will hold them until they Bond out, or, their case is resolved. This process can take months! When working with a Utah Bonding Company like Massey’s who gives you several options for out of state bonds. We’ll allow not only for your loved one to be released, but to return home to the state in which they reside. Once released; Massey’s will put you in touch with aggressive and experienced criminal attorneys that will help prepare their case! In addition; We can get your loved ones out of jail and back to their families. With Just one call to Massey’s Bail Bonds we will start working on your individual case immediately! !